The Kumamoto system after the opening of the tramway extension to Tasaki-bashi on 24 Dec. 1959 but before the closures of 1965-1972. NB: The route indicators FK and KK are for convenience only, and were not used by the operator. 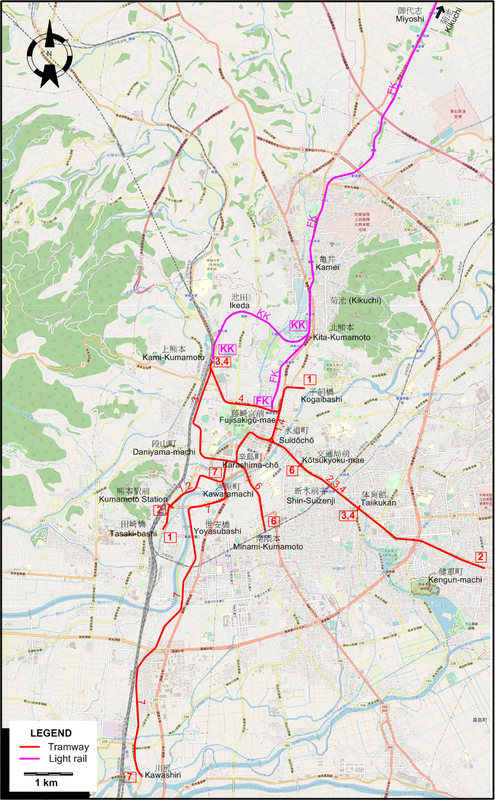 Municipal tram lines: 25.2 km. Steam tramway (Municipal): 20 Dec. 1907 - 2 July 1920. Electric tramway (Municipal): 1 Aug. 1924 - today. 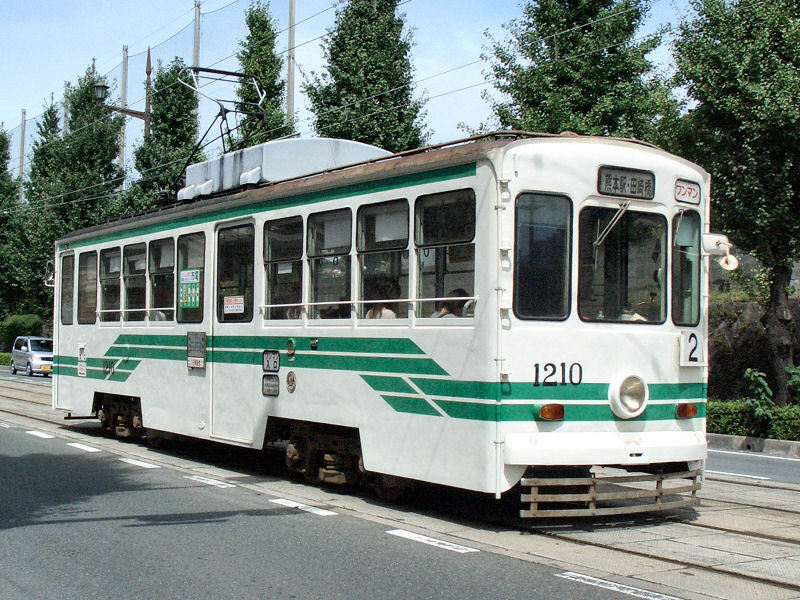 Interurban electric tramway (Kikuchi Tramway, later Kumamoto Electric Railway): 2 Aug. 1923 - today. Steam tramway (Municipal): 762 mm. Electric tramway (Municipal): 1435 mm. Interurban electric tramway (LRT) (1 Oct. 1911 - 31 Aug. 1923): 914 mm. ; (31 Aug. 1923 - today): 1067 mm. Demery, L.W., Forty, R., De Groote, R. and Higgins, J.W. 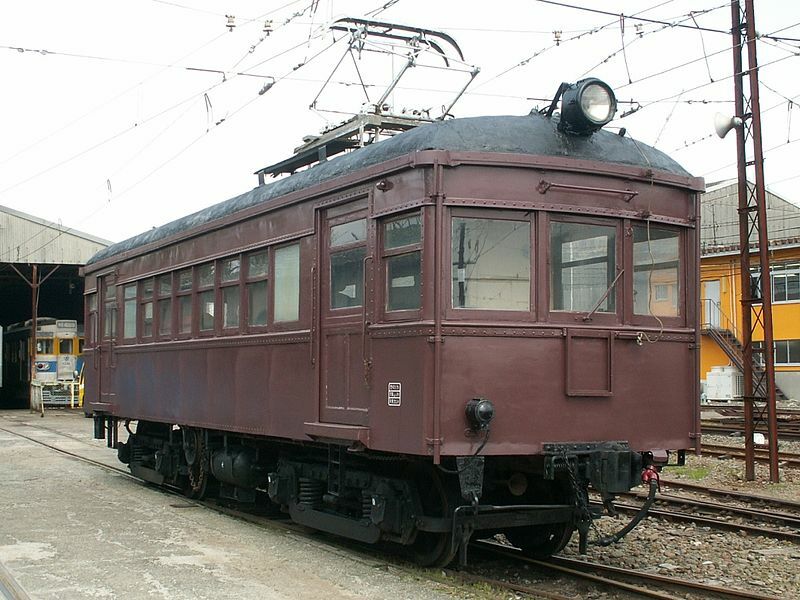 Electric railways of Japan - Vol.3: Western Japan. Gloucester (England): Light Rail Transit Association, 1997. Forty, R. & Higgins, J.W. "Japan today - Part 2: Nagasaki, Kumamoto and Kagoshima", Modern Tramway & Light Rapid Transit, Feb. 1977 (40: 470), p.50-60.